After more than 36 years with Kepston, Alan McCracken retires on 8th May. Alan joined the company in 1981 to take up the vacant sales position and has been with Kepston ever since. When leaving school in 1968 at the age of 16, Alan joined the furnace manufacturer/heat treatment company Birlec. "At that time, I could never have dreamt that I could possibly have spent my entire career involved in the heat treatment & brazing industry & what a wonderful 49 years I've had." Despite experiencing 4 recessions, Alan has played a fundamental role in ensuring that Kepston has continued to grow in the industry. Announcing his plans of retirement in early 2016, Alan has received many heart-warming messages from all who he has built a relationship with over the past 36 years with Kepston. "I'm extremely grateful to all my past & present customers, suppliers, associations, consultants & everyone else that has made Kepston such an unforgettable part of my life." Alan and his wife are very much looking forward to his retirement having bought a caravan in Tywyn, Wales. Alan has kitted out his mountain bike with road tyres and will be tackling the Welsh mountains on a weekly basis. Alan has however ensured his colleagues that he will be checking in with them at 5:00am every morning just to rub his retirement in!! 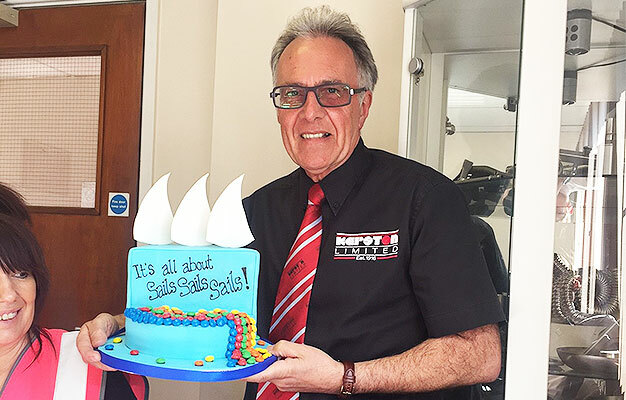 From us all at Kepston, we wish Alan a very happy and healthy retirement. Enjoy! !